Buddhism is a philosophy, a way of life and a religion. Couples seeking marriage counseling with a Buddhist approach should select a counselor who embraces Buddhism philosophically and spiritually. It is not necessary for those seeking counseling to be Buddhist or to have studied Buddhism. Buddhist counseling focuses on mindfulness. Mindfulness means being wholly present in the here and now, in body and in mind. Mindfulness as an approach to counseling and therapy means changing the underlying emotions that drive discord and unhappiness. Rather than reacting to the words and actions of others, mindfulness is non-reactive. Buddhism should be available to all those seeking truth. Buddha himself never exacted a fee or payment of any kind for his teachings. Counseling with your loving partner from a Buddhist perspective should not require monetary exchange as this is antithetical to Buddhist teachings. 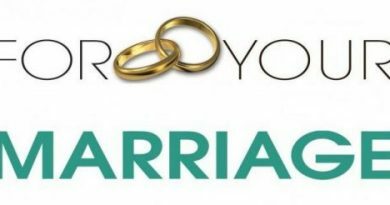 There are two primary approaches to free online Buddhist marriage counseling that are available today. Actual interactive therapy using video conferencing allows the couple to see, speak and interact with the therapist. There are very few of these sessions available, and fewer that are free. More readily available, free and online are Buddhist teachings focusing on the dynamics of marriage. “A Happy Married Life: A Buddhist Perspective” by Ven. K. Sri Dhammananda offers the reader Buddhist teachings on the difficulties in marriage today and how to address the conflicts that inevitably arise. This is a how-to therapeutic approach and answers questions of marital strife and harmony. Sharing pain and pleasure, implicit trust and openness between married partners allows the relationship to flourish. Understanding and communicating are two key elements to a successful marriage. The contents are timeless. Dr. Shoma Morita, a noted Japanese psychiatrist who is now deceased, wrote about marriage and relationships and the cure to marital problems from a Buddhist perspective. He created Morita Therapy, which is a Buddhist approach to mental health. The ToDo Institute website is resource-rich with alternatives to mental health through natural wellness. The resources include online discussions, programs, courses, papers and workshops. The website and programs are not exclusive to online Buddhist marriage counseling, although they are consistent with the Buddhist approach. The difference between the first example and the others is significant. The Amita O’Toole website offers hands-on interactive counseling. The others are also therapeutic, but lack the benefit of immediate therapist-to-client interaction. Online free Buddhist marriage counseling is available, though interactive marriage counseling is not plentiful in quantity. However, its value is not in the numbers, but in the quality.